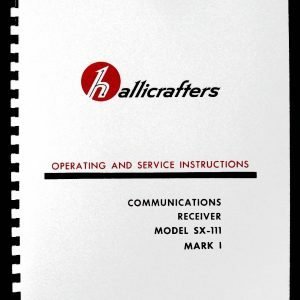 For sale is reprint of Hallicrafters Communications Receiver Model S-40 Technical Manual. Manual is 50 pages long and includes 11″x17″ foldout schematic. 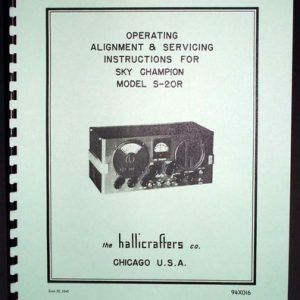 Also included is Service Bulletin, 4 pages long with 11″x17″ schematic. Dated January 1946. Manual consists of sections: Description, Installation and Adjustment, Operation, Functioning of Parts, Maintenance, Supplementary Data. 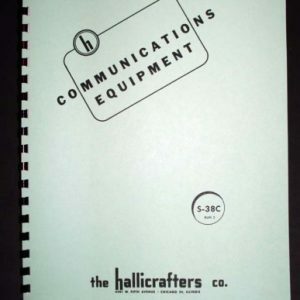 This manual is much more detailed and in depth than other Hallicrafters manuals. 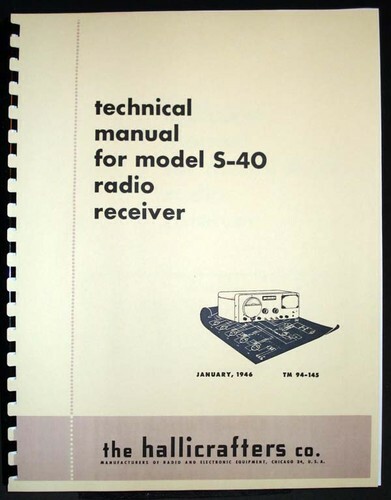 Manual has illustrations of bottom and top of receiver with arrows pointing to every part. Voltage and resistance tables and dial cord diagram. Must for every owner of this great receiver. 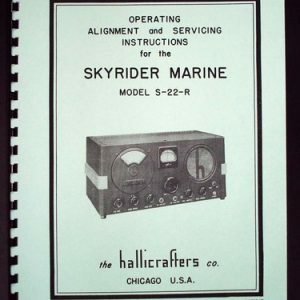 Operating Instructions Manual for this receiver is also available in my ebay store.